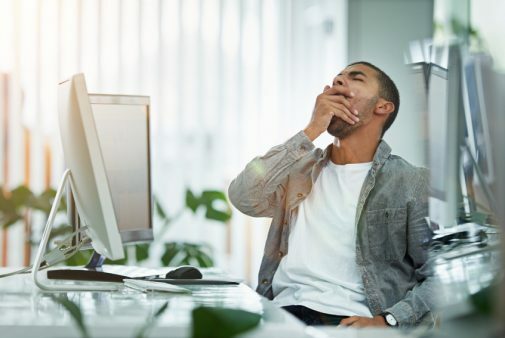 When you feel tired throughout the work day, you might blame it on a late night or poor sleep. But your morning routine might actually be what started you out on the wrong foot. Wake up, get up: Spending an extra 20 minutes in bed on your phone or going back to sleep does two things to your body. First, it tells your body that it should stay sleepy. And second, if you fall back to sleep and end up snoozing, you will be waking up in the middle of REM sleep, which can leave you disoriented and even more tired. Fitbit sleeping score can wait: As useful as Fitbits are to track your steps and sleep, you should not look at it right when you wake up. Seeing a “bad” sleeping score can cause people to already think they are having a bad day when this is not always the case. Rehydrate: Getting fluid in your body after sleeping all night makes sense; your body is thirsty. Having a cup of water or tea will help you begin to hydrate and will also prevent irritability and tiredness, which are common symptoms of dehydration. Morning shower: Night showers, though they sound like a good idea, actually do the reverse of what you need right before going to bed. In order to sleep, your body needs to lower its temperature. A shower at night prolongs that cooling process and makes it hard to go to sleep. Move: Exercising or even a brisk walk or stretch the first hour you wake up has proven to help energize the body to prepare for the rest of the day. It increases endorphins and gets oxygen and nutrients flowing in your body, which in turn helps the lungs and the heart to be at active and awake rates. Get outside: Make sure you are getting your proper sun exposure or a Vitamin D supplement in the morning. Low light throughout the day encourages your body to feel sleepy and less responsive. Helpful sounds: Whether you use your phone, your favorite song, an alarm or a radio station to get you awake and going, it’s important to avoid music and sounds which evoke a sleepy lullaby tune and stress-inducing chords.